Coleman Stock Feeds have a wide range of stock feeds and products to suit your individual needs. We pride ourselves on the custom mixing of loose licks and blocks to suit individual properties. Our staff understands that every property is different and we strive to formulate the perfect custom mix to suit your land and your animals. Our factory staff is very well trained to ensure that your feed is manufactured accurately and free of impurities. The production of custom made feeds to suit your property and stock is vital in deficient country to provide the animals with the correct energy, protein, vitamins and minerals that they require to best utilise the pastures they are grazing and to achieve optimum production. Dry season, wet season, weaner mixes as well as feeds for sheep, goats, horses and pigs can all be manufactured custom to your needs. In designing a custom made lick for you we take into account the soils, pastures, other herbage and plants, water quality, breed/age/maturity and production requirements of the animals as well as the aim of the producer and what they are trying to achieve from these animals. If you would like to enquire about a custom lick for you please contact us to speak with one of our staff. Coleman Stock Feeds have a large variety of standard feed mixes for cattle, sheep, horses, goats, poultry and pigs that are available from the shop or can be made in bulk to order. Please see the tables below to learn about the standard feeds that we have available. For further information on any of these products please contact us. Wet season feeds are formulated to provide stock with phosphorous through the growing season in deficient areas. Phosphorous and calcium supplement for cattle. Contains only a small amount of urea making it an ideal wet weather supplement in the growing season. Phosphorous supplement containing for feeding cattle. This supplement contains no urea making it ideal to feed through the wet season. Contains protein and low levels of urea. Ideal to feed when protein levels in the pastures are beginning to deteriorate. Phosphorous and calcium block to be fed to sheep and cattle. Must be fed in conjunction with roughage in the paddock. Dry season feeds are formulated to provide stock with the nutrients that they are most lacking in, for example, protein and energy. This allows the animals to better utilise the pasture that they are grazing on during the dry times. Complete feed for all cattle and sheep. Contains grain and protein as well as a small amount of urea and monensin for increased performance. Concentrated grain supplement for all cattle and sheep. Contains some urea and monensin and must be fed in conjunction with roughage. High urea supplement with a small amount of phosphorous and calcium. Feed to cattle when grasses are losing their protein content. Supplement feed to be fed to poor cattle. Contains a small amount of urea and monensin for improved performance. Supplement feed to be fed for fattening and finishing off bullocks. Contains a small amount of urea and monensin. Contains medium levels of urea. Should be fed when protein levels in the pastures are low. Maintenance feed for cattle and sheep when pastures have lost the majority of their protein. Contains urea, calcium and phosphorous. Must be fed in conjunction with pastures in the paddock. High protein concentrate that is added to molasses while cattle and sheep have roughage in the paddock. Protein block to be fed for the maintenance of cattle, sheep or goats, particularly in phosphorous deficient country. Must be fed in conjunction with roughage in a paddock. Protein block to be fed for the maintenance of cattle, sheep or goats that are grazing on better types of country. Urea supplement block containing a small amount of phosphorous and calcium. Feed to cattle when pastures are losing their protein content. May be fed to sheep with very high caution. A high protein content block for feeding ewes and lambs. Must be fed in the paddock in conjunction with pastures. Weaner feed is designed to improve growth rates and performance of weaners. They contain protein for improved growth and performance and other ingredients to aid in the full development of the rumen. Monensin is also included to prevent the development of scours. A complete feed for weaners. Contains some urea and monensin for increased performance and reduces the chance of the development of scours. A concentrated grain supplement for weaner cattle 3 months of age or older. Contains some urea, monensin and virginiamycin to avoid acidosis. Must be fed in conjunction with roughage/hay or to grazing animals. A supplement feed for weaners up to 12 months of age grazing in a paddock. Contains protein and some urea and monensin for enhanced growth. A high protein ration for feeding poddy calves from 6 weeks to 3 months of age. Feed to animals with roughage/hay or grazing a paddock for improved growth and rumen development. We supply a range of standard maintenance horse feeds as well as supplements for the prevention of Big Head due to a calcium deficiency. A maintenance feed for all types of horses, either spelling or working. A complete feed for performance horses. Suitable for campdraft and stock horses. Contains a relatively high amount of grain. A complete feed for performance horses providing them with a lower grain content. A low grain content feed for horses to avoid heating them up too much. Designed for polo cross and campdraft horses, but can be fed to work horses also. A mineral supplement containing a high amount of calcium to avoid Big Head. Particularly good for horses grazing buffel grass. A mineral supplement block for horses which contains calcium to avoid Big Head. Particularly good for horses grazing abundant buffel grass. A protein block suitable for supplementing all horses and goats. 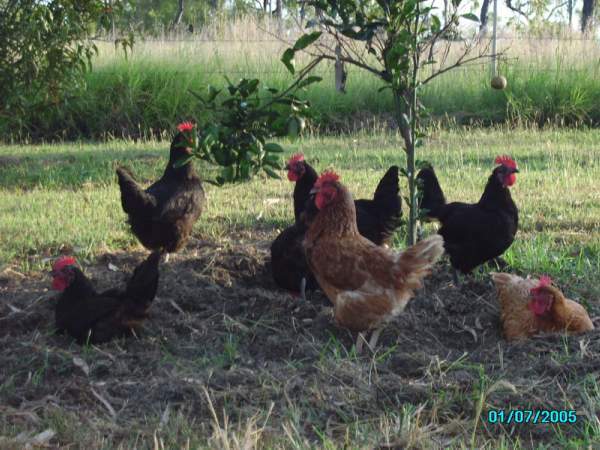 We supply a range of readymade poultry feeds for laying or free range birds. A complete feed for caged laying hens. 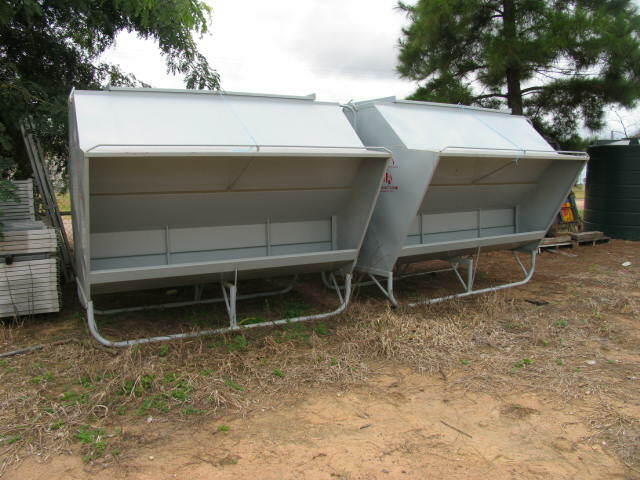 Specifically designed for feeding in Northern Queensland’s hot and humid conditions. A complete feed for free range laying hens. A complete feed for chickens up to 18 weeks of age. Contains medication to prevent coccidiosis. A general blend of grains for all birds and poultry. A complete feed for all pigeons. A complete feed for laying hens in a home flock. Coleman Stock Feeds supply three pig feeds which are designed to meet the pigs nuritional requirements through their stages of growth and development and production. A very high protein ration for piglets up to 7 weeks of age. It is a complete feed. A medium protein ration to be fed to pigs from 10 weeks of age to market age. A low protein ration suitable for all boars and sows.